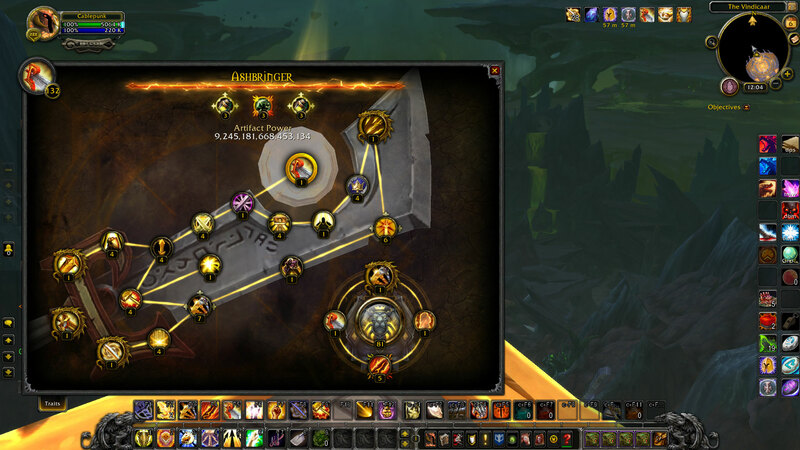 Most of the quest chains I had already finished prior to the incident with Sargeras’ sword, but there were a few random things left to be done. Time to face Gul’dan in the Nighthold. 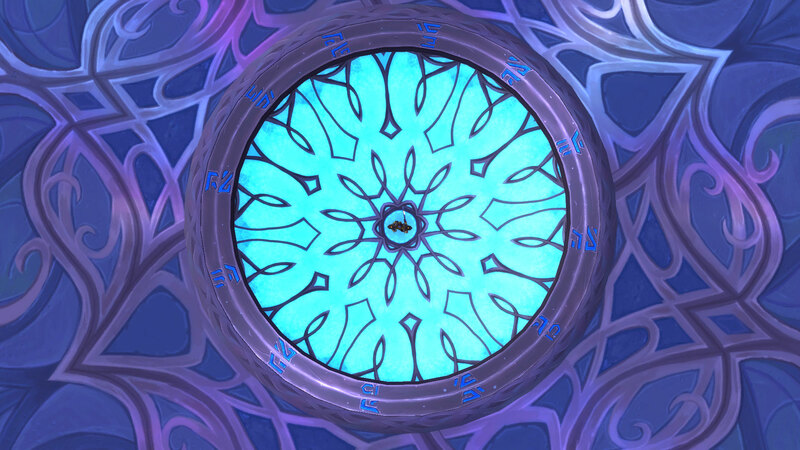 With Gul’dan’s defeat (and the Suramar questline sufficiently advanced), I could finally collect the Eye of Aman’thul, the last of the Pillars of Creation. 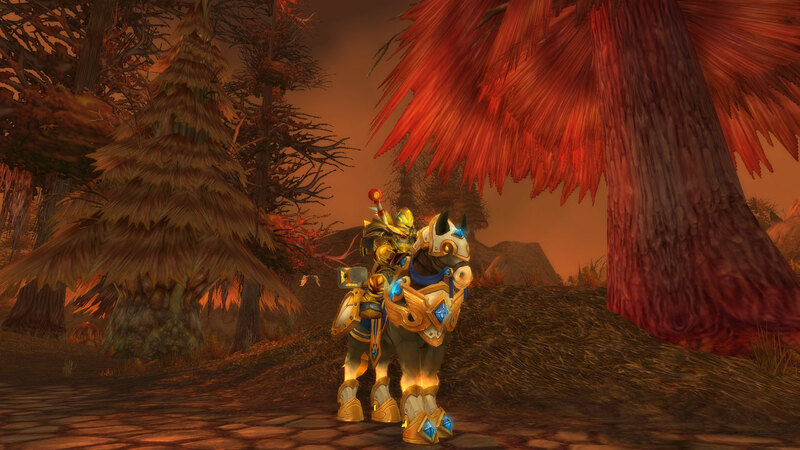 Completing the Legionfall questline meant I could finally search out my class mount. Just needed to get ahold of Stonehide Leather Barding…. 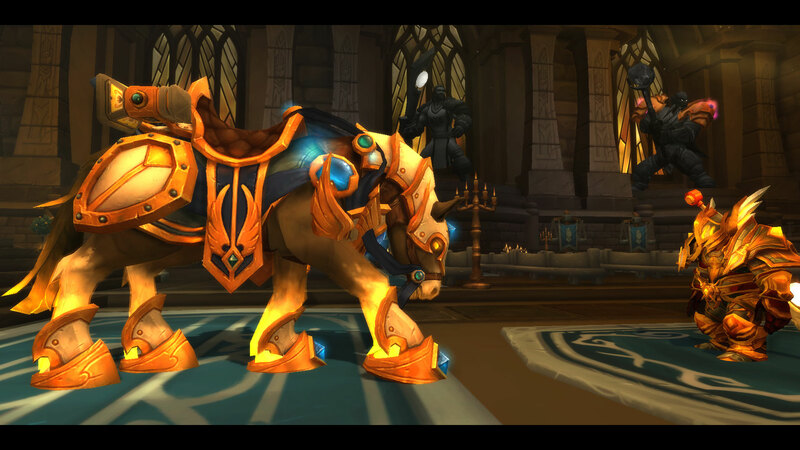 Glowing Reins of the Golden Charger. Now it’s off to Highmountain to do World Quests for the reputation to unlock the tribe as an Allied Race. 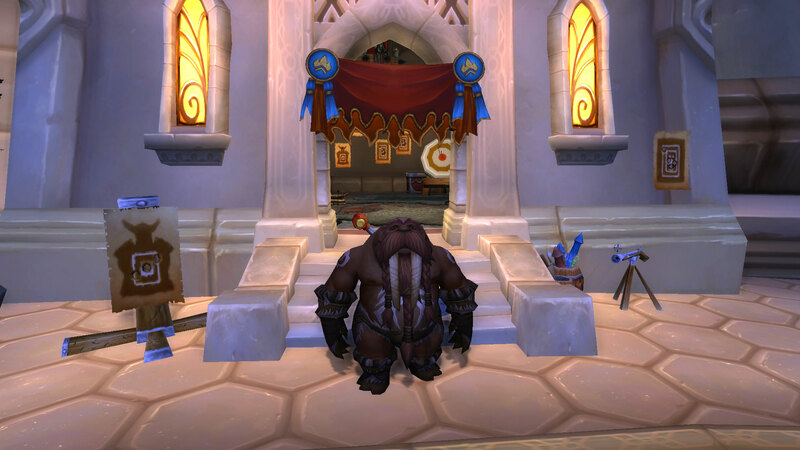 Realistically, I am not going to get the reputation for three of the four Allied Races that are available now. 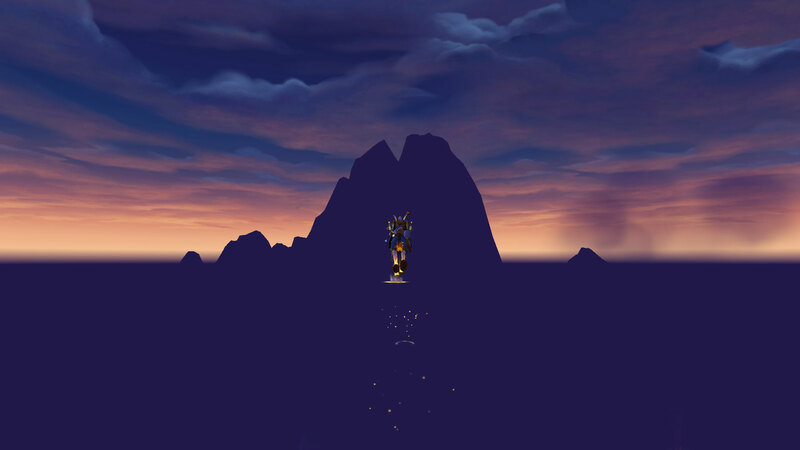 I’m well over exalted with the Nightborne, but it’s Highmountain for the Tauren and Argussian Reach for the Void Elves I need to be working on. But that’s okay. My current plan with World of Warcraft is to keep my focus on the Alliance and to keep up with the Battle for Azeroth content as it releases so I’m not playing catch up with this expansion. I’ve also begun dabbling with streaming again, this time on Facebook’s new gaming service. While I did a couple World of Warcraft broadcasts, I mostly plan to focus on Nintendo Switch games there beginning with tomorrow’s rerelease of Captain Toad: Treasure Tracker. Please follow my Cablepunk Facebook Page to keep up with that adventure! Previous Previous post: July Community Day with Squirtle! Next Next post: Nintendo Switch Online is here!